Hello! 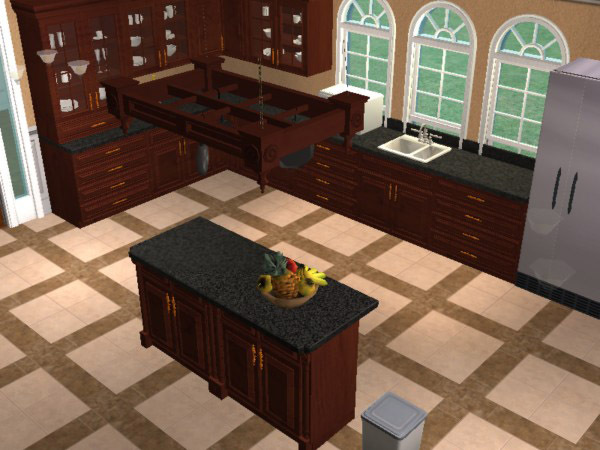 Thanks to everyone who downloaded my Tuscan Kitchen. I wish I could say that uploading the set went off without a hitch, but unfortunately I can't. Thanks for your patience while I got the issue with the stove sorted out. If you downloaded the original set before it was updated, please visit the original thread to download the fixed stove and potrack. 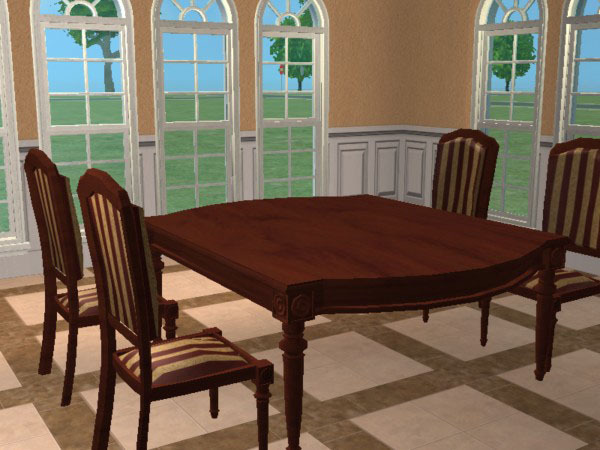 If when you downloaded the set, there was only an extra download for the stove and NOT the potrack, then you probably need to go back and download the potrack as well. If you don't download the potrack fix, you will be unable to select the recolor options for the potrack. 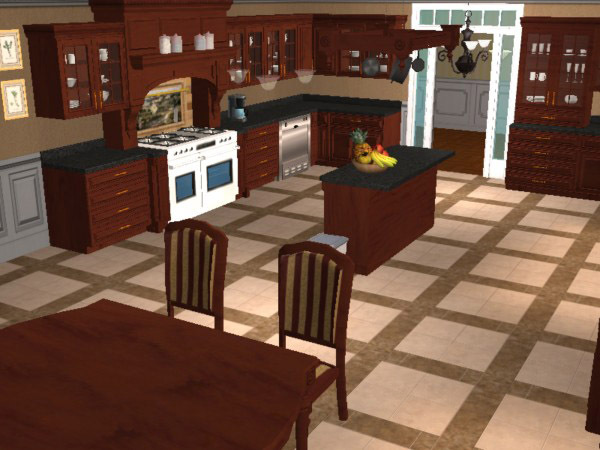 This recolor is an homage to my first ever Sims 1 set, which was ALSO a kitchen, and is still floating around TSR somewhere I'm sure. 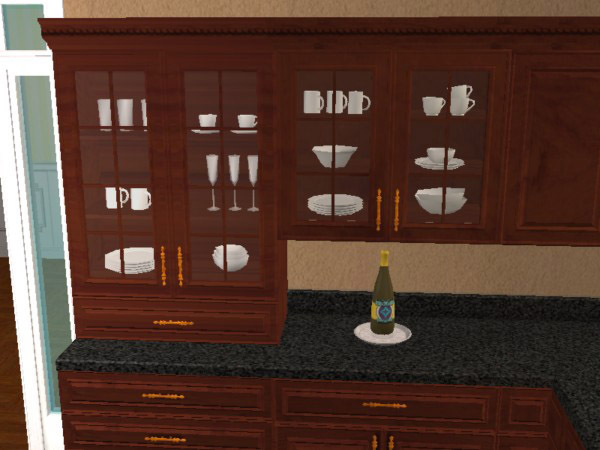 Like that set, this set features mahogany wood counters with black granite countertops and gold plated pulls. 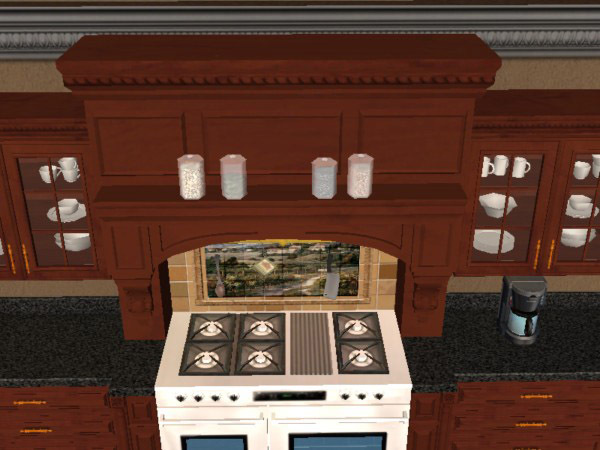 I have also included a recolor of the tile backsplash on the stove hood, so now, you can have more design options for the backsplash. 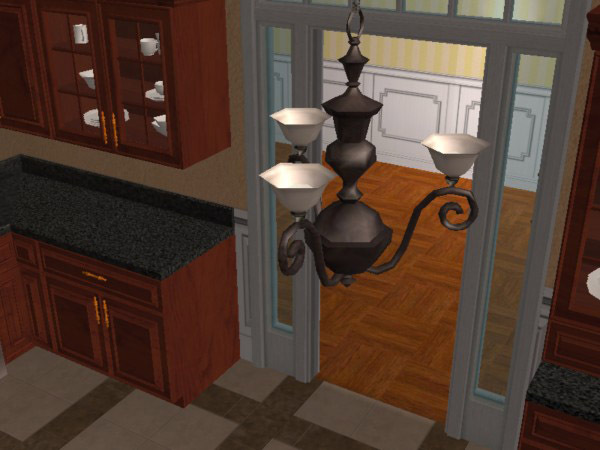 The chandelier has been recolored to a deep black iron. Please let me know what you think of this recolor. 1986 people have said thanks to phoenix_phaerie for this download.